The magic question is, “What for?”. But art is not for anything. Art is the ultimate goal. It saves our soul and makes us live happily. It helps us express ourselves and be happy without the help of alcohol or drugs. He is so right. I mean, how often to we do things “just for the fun of it?” Not often enough. And it’s high time we did. As Kim suggests, let’s unleash our “inner child” — the artist who wanted to play forever. 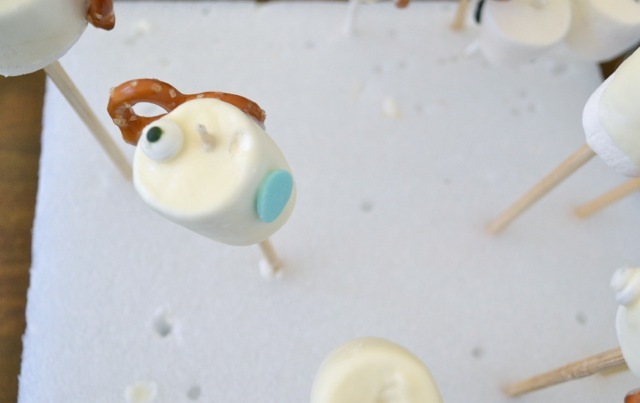 With Easter in mind, these fun Easter Bunny Marshmallow Pops are a great place to start! Oh, and don’t feel obligated to make them look so standard; the ones Jack created are much more unique . . . and completely awesome. 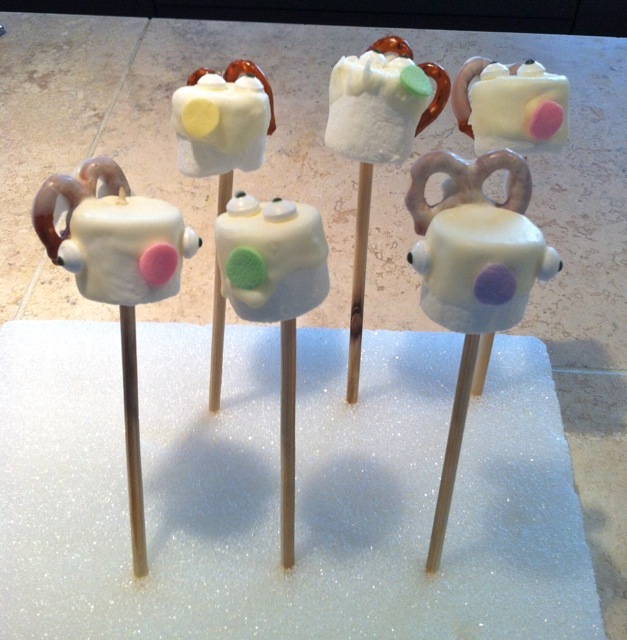 Here is what you need: (1) marshmallows, (2) mini pretzels, (3) jumbo sprinkles, (4) Wilton candy eyeballs, (5) lollipop sticks, (6) white Wilton candy melting wafers, and (7) chocolate jimmies. 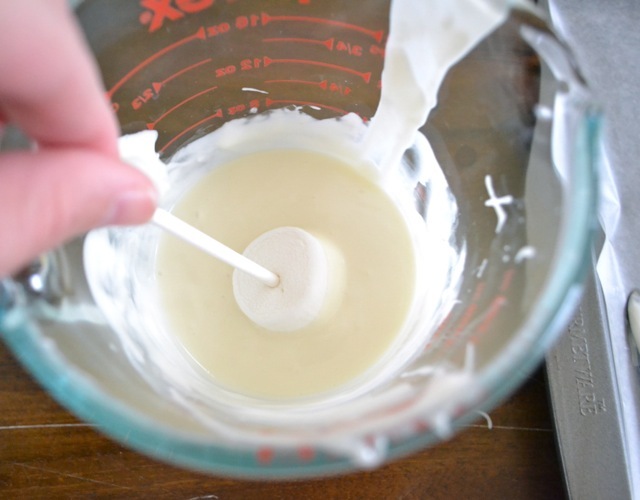 Here’s what you do: Line a baking sheet with wax paper. 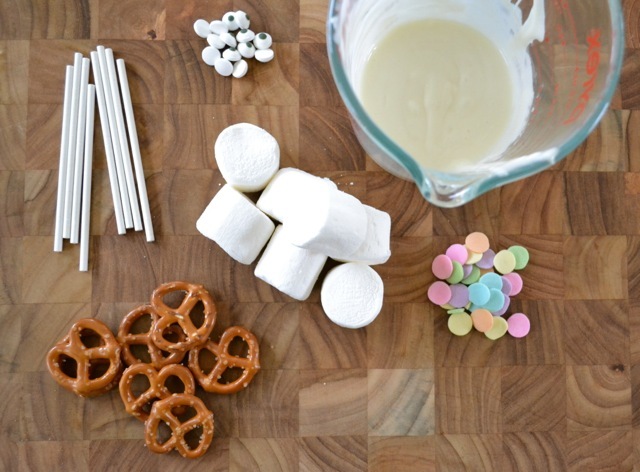 In a glass cup or bowl, melt the candy melting wafters in the microwave, stirring frequently to prevent burning. 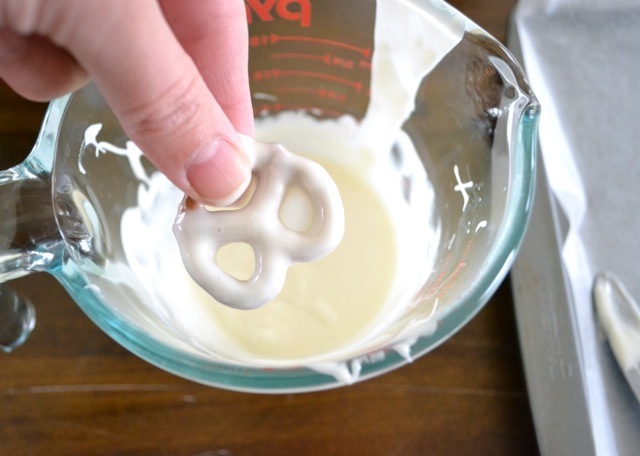 Dip the pretzels in the melted candy coating. 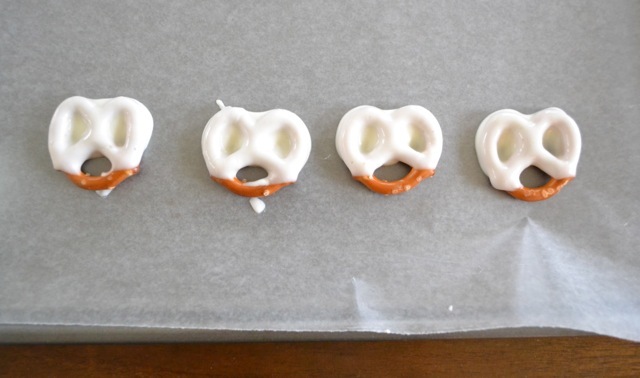 Place dipped pretzels on the wax paper. 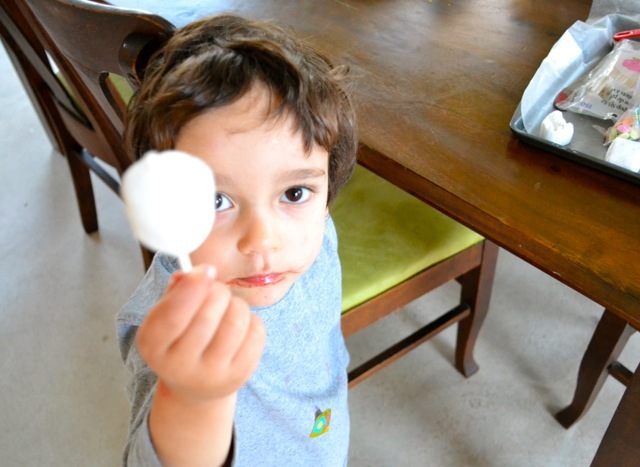 Insert a lollipop stick in a marshmallow. 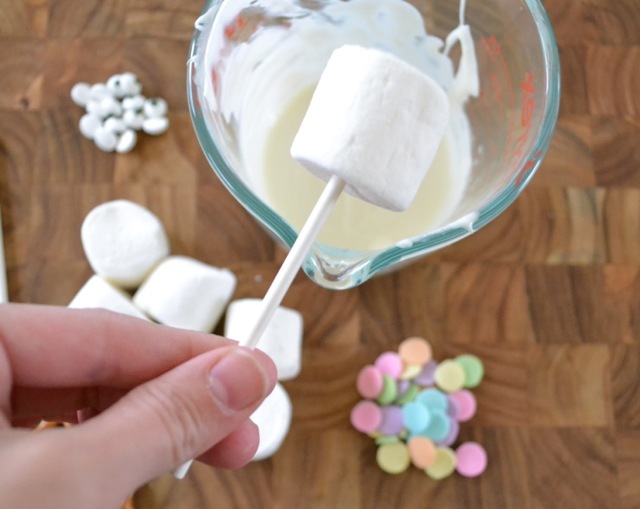 Dip the marshmallow in the candy coating. Let the excess drip off. Place the candy-coated marshmallow on one of the pretzels, letting the top of the pretzel stick up over the marshmallow to look like bunny ears. 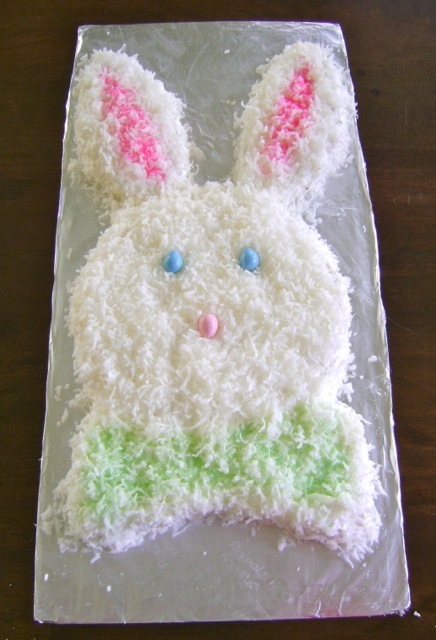 Add one jumbo sprinkle as the nose. 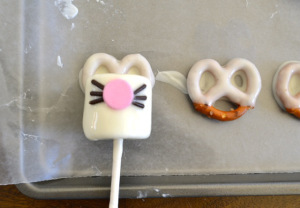 While the candy coating is still wet, add three chocolate jimmies on each side of the sprinkle, for whiskers. 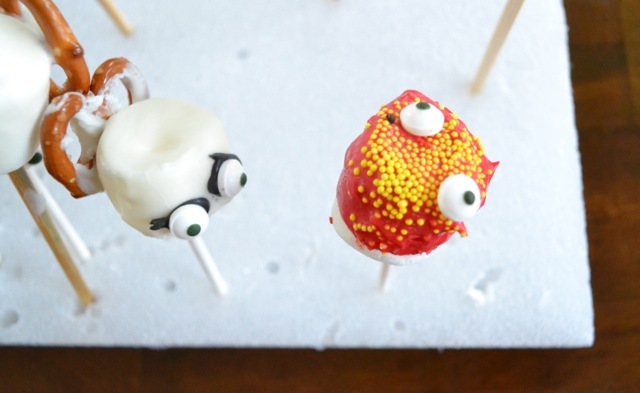 Let the candy coating dry. (You can put it in the refrigerator or freezer to speed it up.) 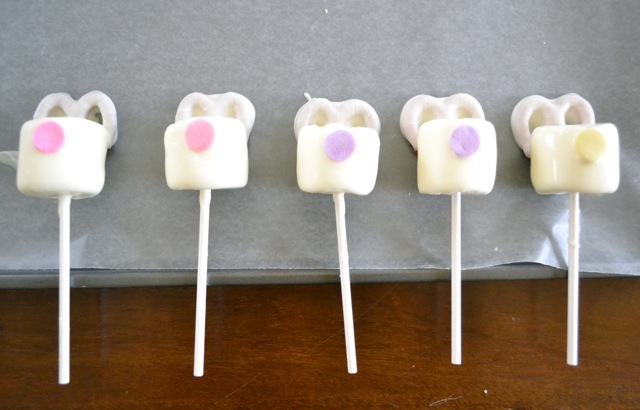 Put two small dots of the melted candy on top of the bunny face, and use this to stick on the eyes. 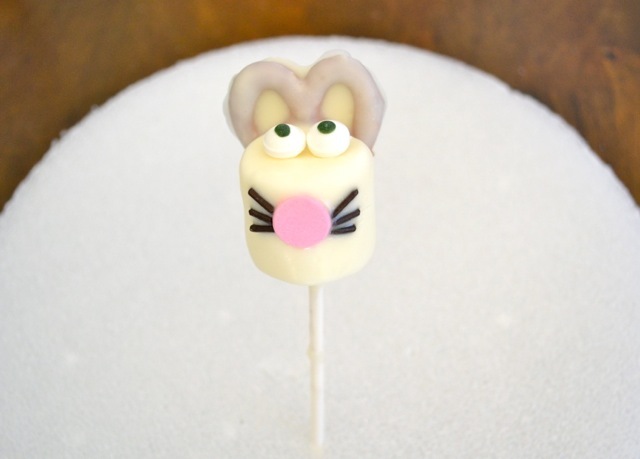 Place the lollipop stick in a styrofoam board — to keep the bunny upright as it continues to dry. Jack had so much fun making these. Think you might try them? Hope so! If not, hope you will try something else — just for the fun of it!